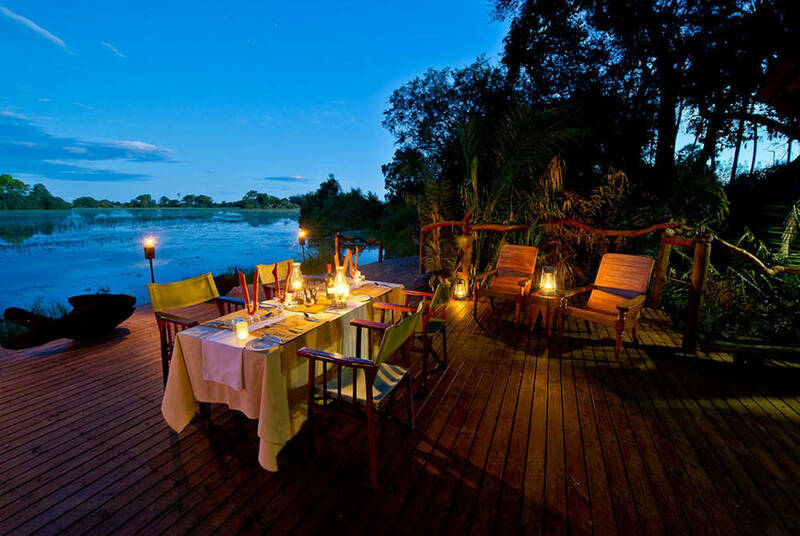 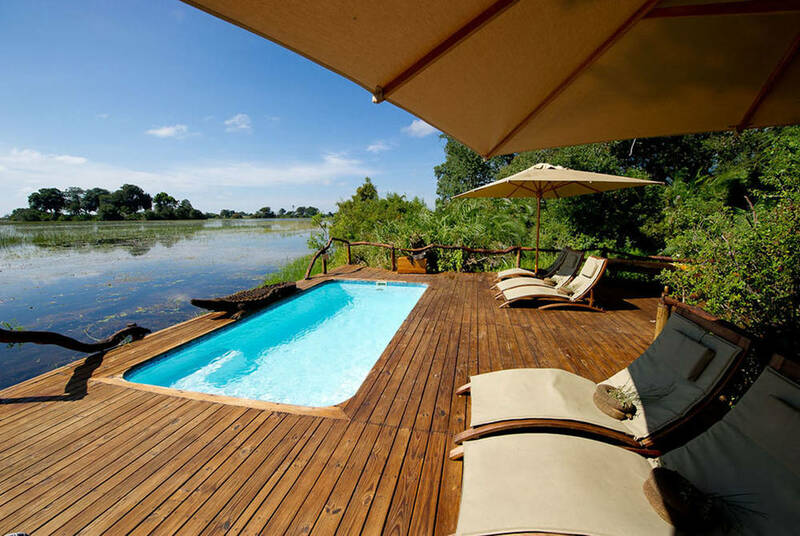 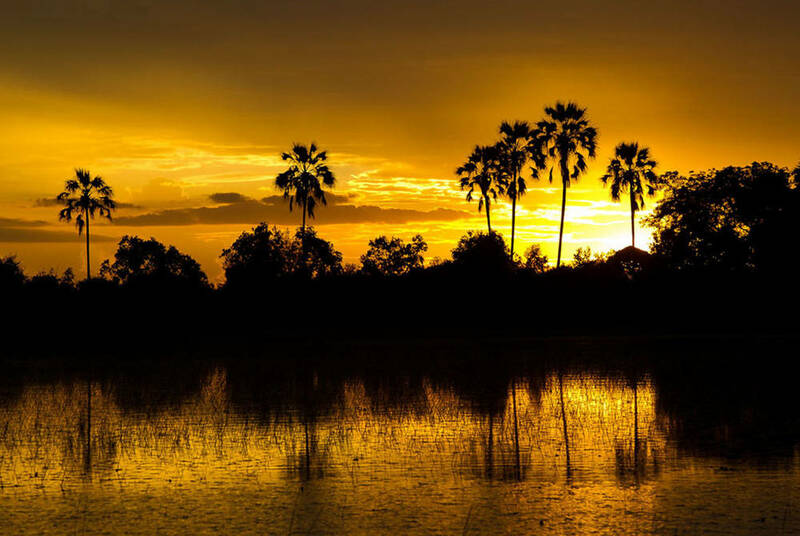 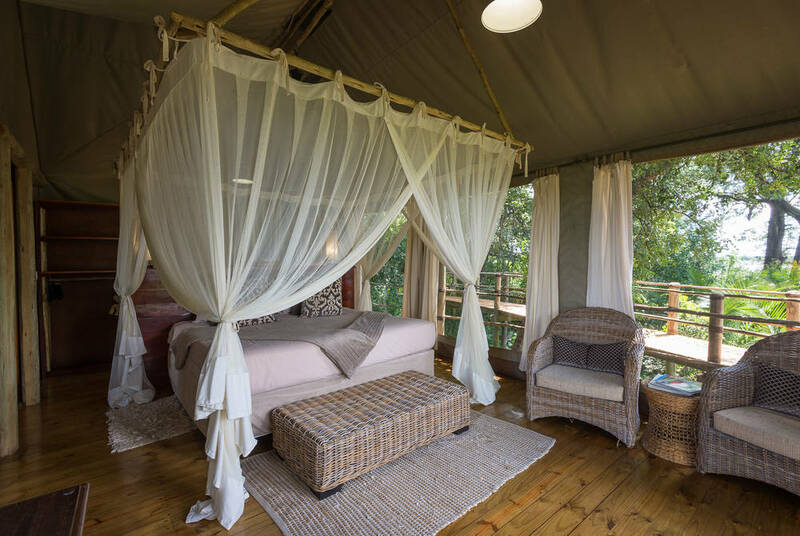 The Camp’s five Meru-style are raised on wooden decks overlooking the seasonally inundated floodplain and papyrus swamps, which are densely populated with bird life and big animals, such as elephant, lion, leopard and buffalo. 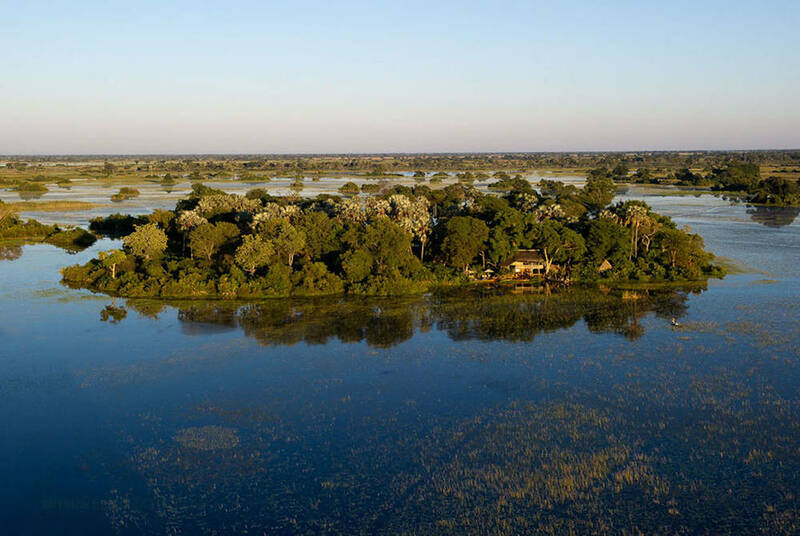 Activities at the camp, where all games activities and meals are included, range from year round Mokoro (dug-out canoe) trips and walking safaris in the Okovango Delta to game drives from September to May when the floodwaters recede. 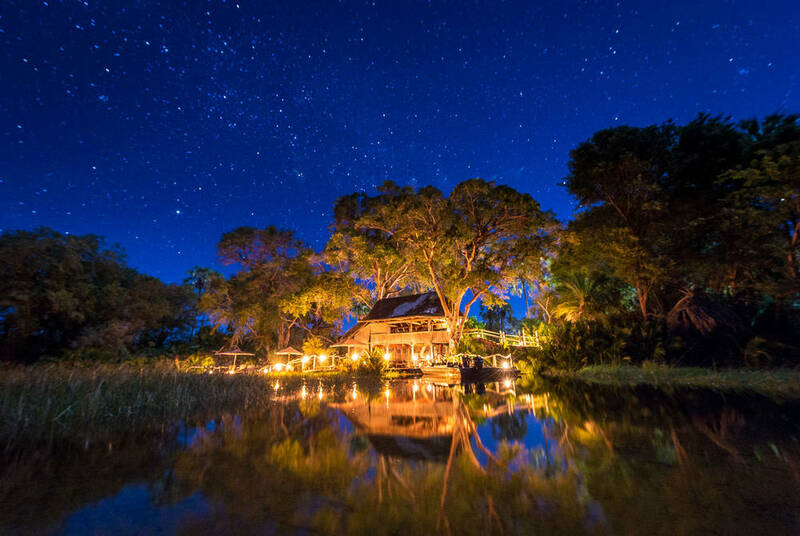 We like: The cosy bar and lounge with area for an open fire under the stars.